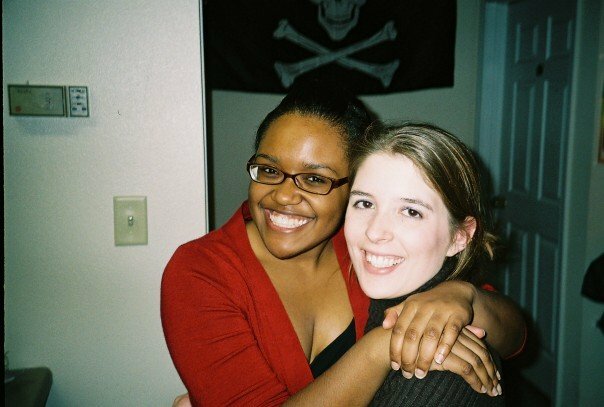 Me and my friend Beth in 2006. HOLY CRAP, THAT WAS NINE YEARS AGO. The dining room was in the basement of Garrett. The pasta station was located right between the door and the cash register at the end of a half-circle of meal stations. The Pasta Ladies were suited up in stained white chef’s jackets and hats to match. Their demeanor was more lunchroom lady than Top Chef. The Pasta Ladies had their system down. They squirted oil into a skillet and plopped in a small spoonful of garlic to begin each order. They scooped the meat and veggies we wanted for our pasta from black plastic containers nestled in ice. Penne noodles went in next, followed by a ladle of marinara, alfredo sauce, or a combination of both for the adventurous among us. Once the Ladies tossed everything together over their individual burners, they slid the pasta onto black plastic plates and sprinkled a handful of cheese on top of it all. A hearty helping of carbs got Beth and I through many long afternoons and evenings in the newspaper office. Several years later, Beth and I have rekindled our partnership at Strati Wild Italian, a fast-casual Italian restaurant at 1702 Bardstown Road (where Sitar Indian Restaurant used to be). The setup calls upon our collegiate carbo-loading days but expands on the little pasta station we loved. 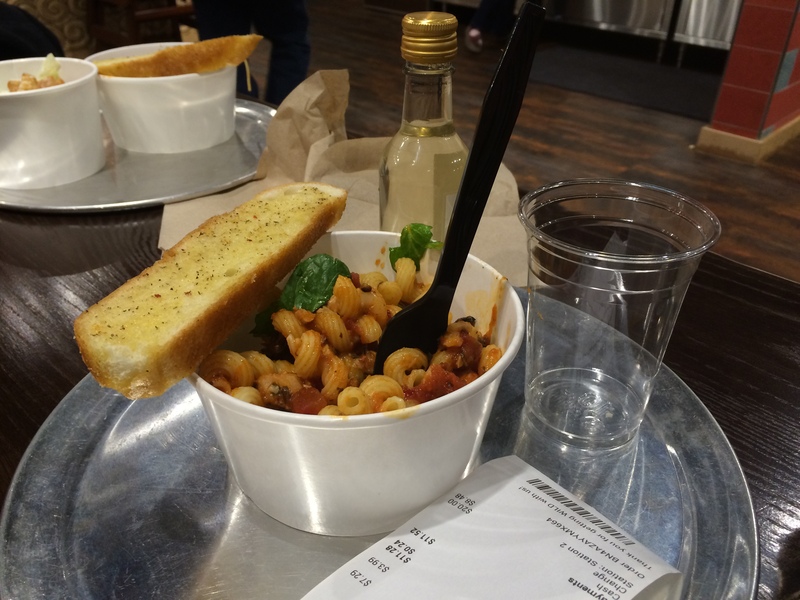 The concept is similar – customers at Strati can build their own small or large pasta dish from the viewable selection of pasta shapes (cavatappi FTW), meat, veggies and sauces. Small pans are stacked on a big hot plate near the beginning of the line. The cooking of the pasta and vegetable prep happens in the back kitchen, which leaves a Subway-like assembly line behind a sneeze guard at the front of the house. I didn’t mind waiting a couple of extra minutes for fresh pasta to cook in the back kitchen – it appeared that the selections out front were purposefully small to ensure constant freshness. Employees are friendly and patient when they walk newbies through the pasta-creation process. And if you freeze with so many options before you, there is a selection of pasta dishes that the restaurant has put together on the menu. 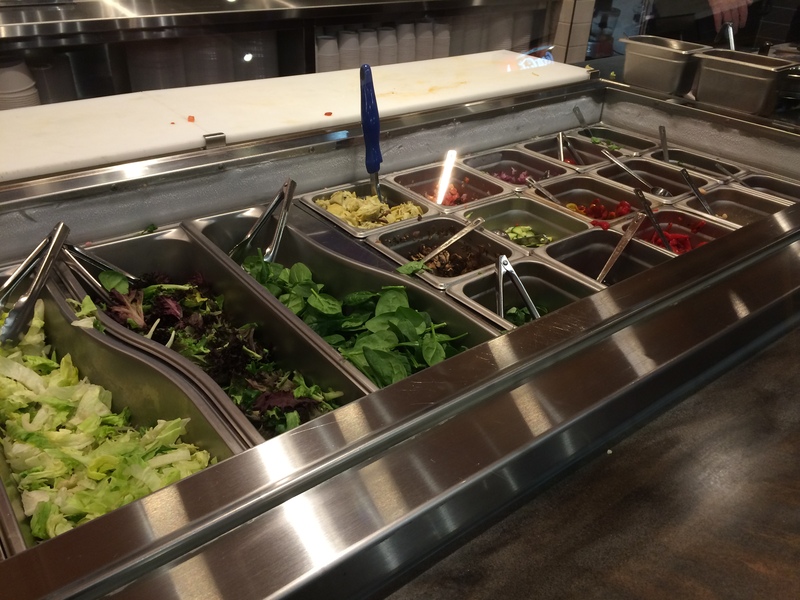 A selection of fresh veggies and at Strati Wild Italian. Strati also has wraps and salads if you’re so inclined. However, it would be a shame to bypass the build-your-own pasta option. I made a creation with a spicy marinara, chicken and plenty of vegetables that was a little bit heavenly, mainly because I got to choose exactly what I wanted. Add a tiny bottle of wine ($3.99), and a small pasta order ($7.29) made for a satisfying weekend dinner. A small pasta bowl at Strati Wild Italian. And yes, it pairs well with a little bottle of wine. I was inherently biased to like Strati – the same folks responsible for Wild Eggs opened this restaurant, and I, indeed, love me some Wild Eggs. Fortunately, the company’s commitment to fresh, friendly service has spread to this latest offering, and the restaurant gives Beth and me a reason to get the band back together.